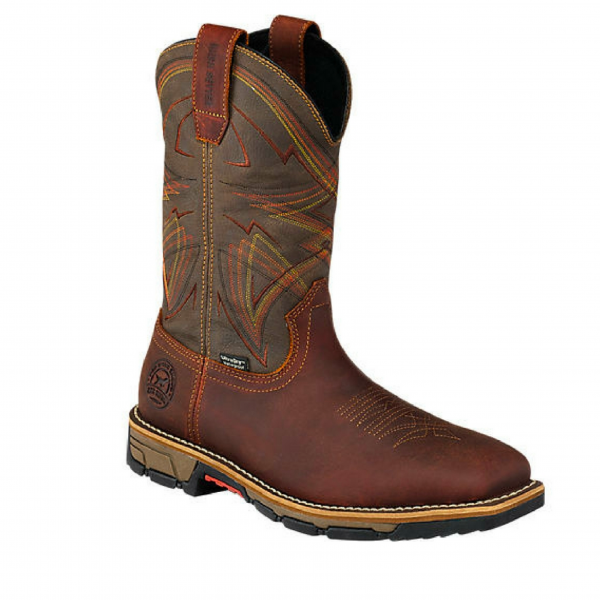 Men’s 11-inch pull-on square toe western boot features waterproof, full-grain leather and safety steel toe cap for protection. Electrical hazard meets ASTM standard. Waterproof Ultra Dry™.